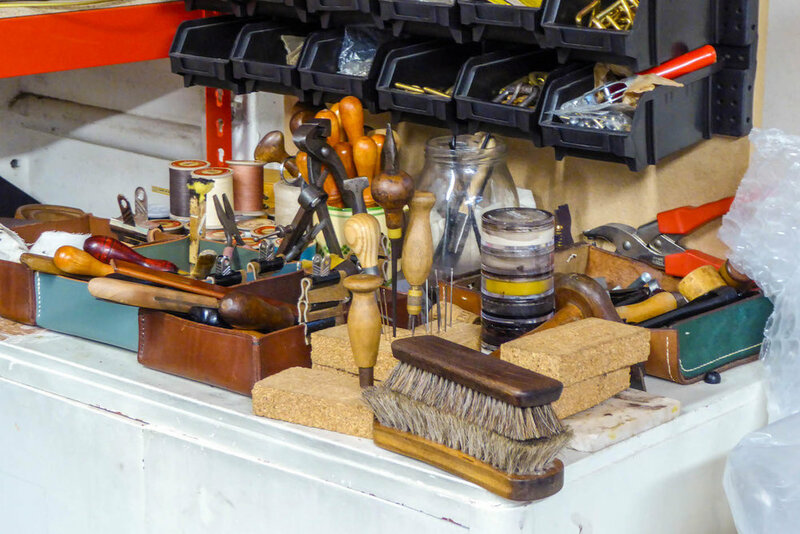 Craft Editions spent a wonderful two hours in the company of Harry Owen at his studio in North London in December 2016. 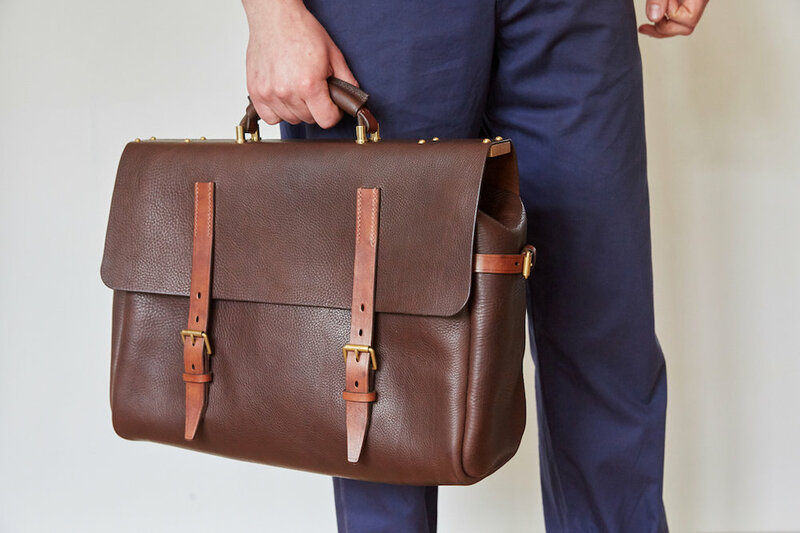 What was immediately apparent was how Owen Leather is the product of the enticing combination of Harry’s youthful passion and his deep knowledge of his craft. It might seem unusual to find someone so young with such skill, but this is because Harry spent a decade “educating his hands” at a cobbler’s shop in Muswell Hill where he had a Saturday job whilst still at school. His training continued more formally on a 3-D Design degree at Camberwell College of Art and from that, Owen Leather was born. His desire to bring this simplicity to his own work gives each of his pieces a timeless quality. Harry is quick to point out that this is easier said than done! By way of illustration he showed Craft Editions his contemporary reimagining of a Gladstone bag. His designer’s eye has enabled him to re-engineer this classic piece by removing the frame to make it physically lighter, as well as taking away any unnecessary detail to make it minimal and more modern. 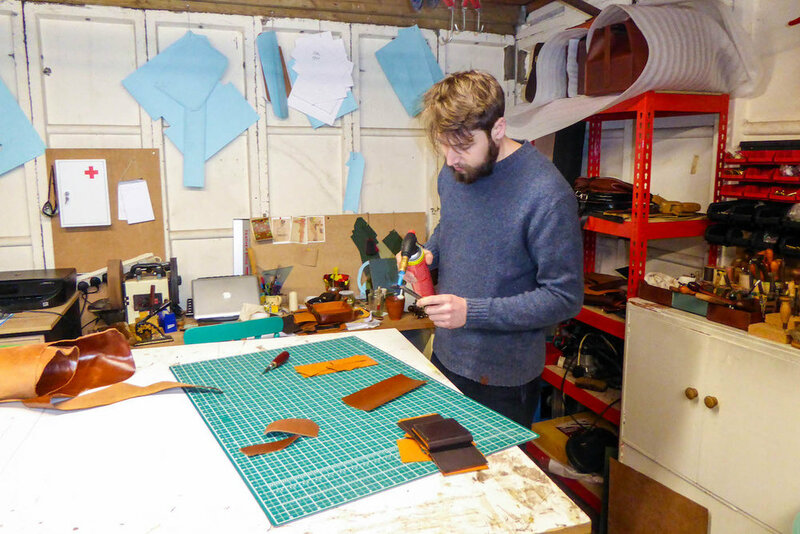 In a culture of throwaway fashion Harry strives to make beautiful and durable leather items that people want to cherish and keep forever. He sees Owen Leather as part of an important age-old tradition, “Craftspeople have always been here countering consumption.” For him personally, leatherwork is “quiet, meticulous and peaceful, everything I could have wanted in a craft.” It is Harry’s strength of character and his commitment to his craft that is establishing him as an accomplished craftsman and building the profile and reputation of Owen Leather. 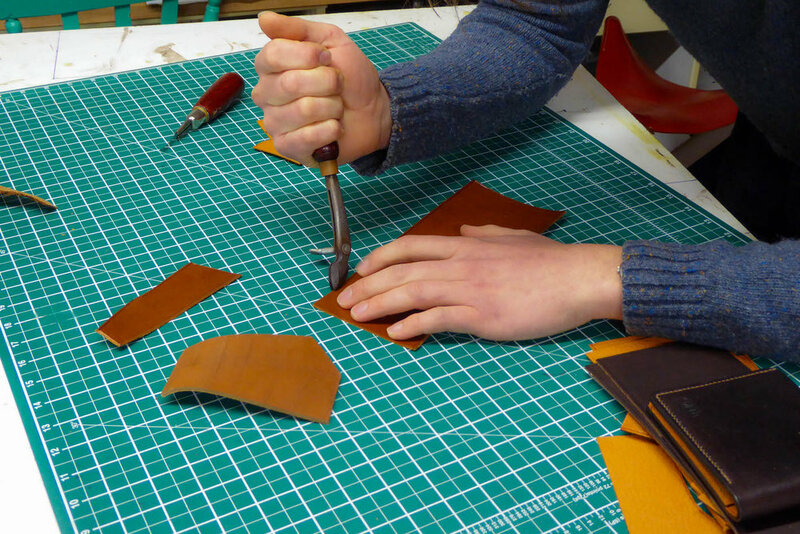 Find out more about Owen Leather here. Images by Craft Editions and courtesy of Owen Leather.